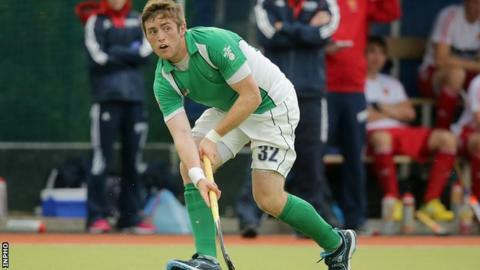 Ireland's men hockey team were edged out 3-2 by Spain in the latest in their series of internationals in Cape Town. Shane O'Donoghue put Ireland ahead after seven minutes and they remained ahead at half-time. Goals from Alvaro Iglesias and Ricardo Santana before Kirk Shimmins levelled for the Irish but David Alegre's strike sealed Spain's victory. Ireland will face South Africa on Monday evening with four further games following later in the week. The Irish face Canada on Wednesday and Thursday before next weekend's two contests against Belgium. The matches are part of Ireland's preparations for their challenge at the Olympic Games in Rio in August. Ireland opened their series of games in South Africa by earning a 2-0 win over Canada before drawing 1-1 against the same opposition on Saturday.